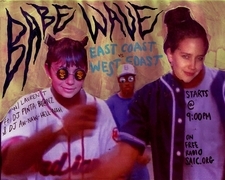 Lauren’s ditching the rock and roll this week as we head into a round of the age-old question: East Coast or West Coast? We personally think the right answer is always Dirty South. I mean – for real – what’s better than Three 6 Mafia [including solo works of Juicy J, Project Pat, Scarecrow, blah blah] and OutKast and Lil’ Wayne and Luda and… do we get A$AP? We know he’s Texas trill and repping Harlem at the same time – but Texas is no coast. Whatever. 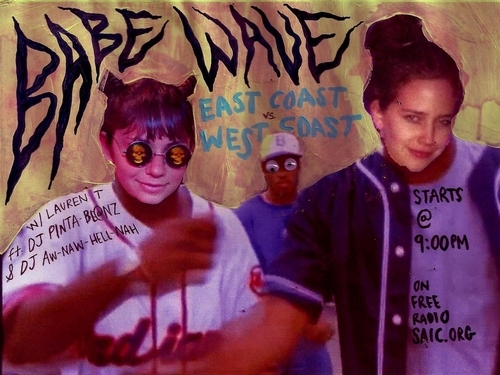 BABE WAVE is bringing an extra special treat next week when she has our favorite Heavy Cream in the studio for a little interview about their upcoming record release. Gonna be killer. 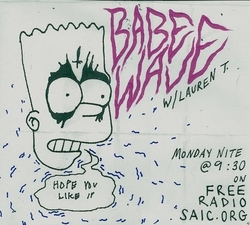 As always – you can catch Babe Wave every Monday night at 9PM on Free Radio SAIC. Hit it!